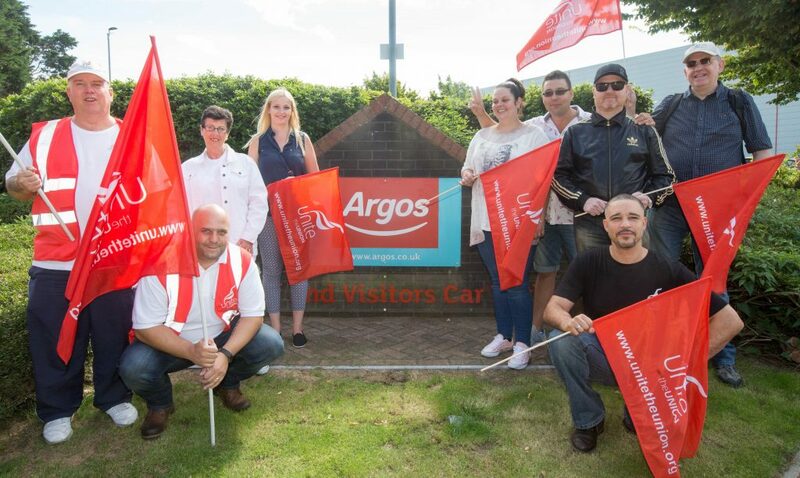 Unite members at Argos’ distribution network strike over the company’s failure to negotiate a national agreement covering redundancy and severance packages. Argos has failed to give guarantees that workers’ at its logistic sites future terms and conditions will be safeguarded. Nearly 500 workers were transferred from its Lutterworth distribution hub in Leicestershire to Wincanton logistics in Kettering, Northamptonshire. Aleksandra Luc, Steve Stockwell and Linda Cook on the picket line at Basildon in Essex, one of four striking sites. 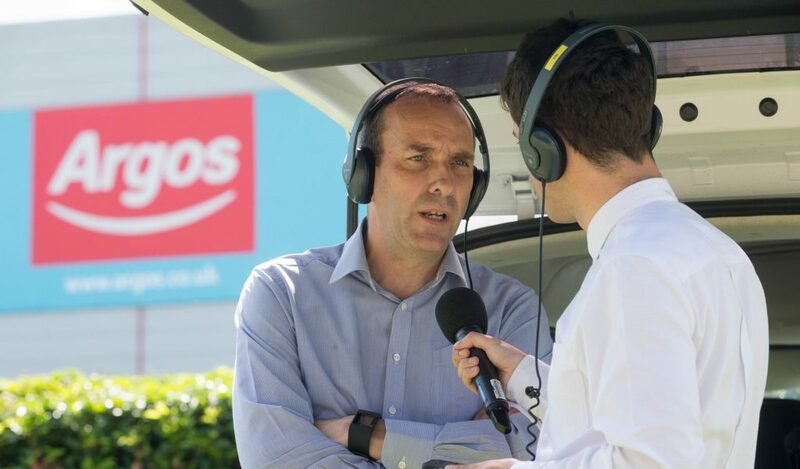 Unite national officer Matt Draper gives an interview to BBC radio Essex. He says the transfer of workers from Lutterworth to Wincanton, whether they wanted to or not, led to this strike ballot. Unite wants a comprehensive national agreement with the employer covering redundancy and severance packages. Strikes by the warehouse staff began early this morning (Tuesday August 15) and are set to end early on the morning of Tuesday September 5.